The Lakeside Hotel and Spa HotelThe hotel’s award-winning restaurants provide an imaginative choice. 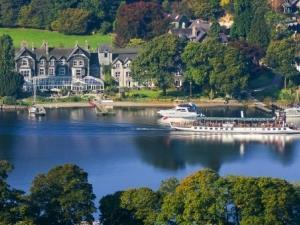 The Lakeview Restaurant offers a fine dining experience, whilst John Ruskin's Brasserie is more contemporary. The Lakeside conservatory serves drinks and light meals all day.